Hello. My name is Hiu, and I is a serious, respected journalism. I tell you what’s what with Science-Fiction and Fantasy. I gives you serious and definitely-not-satirical News. Let me tell you how you should be feeling this week. This week is a sad week. Respected book piracy site, [Redacted], was tragically shut down following complaints from meddling do-gooders and so-called authors. They took to their Twitters and their blogs, and oh boy did they kick up a stink. I simply cannot comprehend how these people can see piracy as anything other than a good thing. Would these “authors” rather that people didn’t read their books? If anything, piracy does them the favour of putting their books into the hands of people who wouldn’t otherwise read them. They should be thanking us for stealing their livelihoods. “But we want to be paid,” they scream. Well. If they wanted money, then they should have put their writing skills to better use and became journalisms. Luckily, there are other places for enterprizing individuals to locate some ebook booty. Places such as [Redacted].org, [Redacted].au, and [Redacted].illegal. Why those little… hold on, never mind, I’ll deal with this. As I was saying, I’d like to take this moment to denounce piracy, and to assure every author and creator out there that we will stand by their side until this menace to our society is dealt with. Editor’s Note: Hiu, don’t name the piracy sites. and DEFINITELY don’t link to them! Are you an idiot? When reporter Dyrk Ashton leeked this picture earlier this week, I felt a shiver run from my head tomatoes. 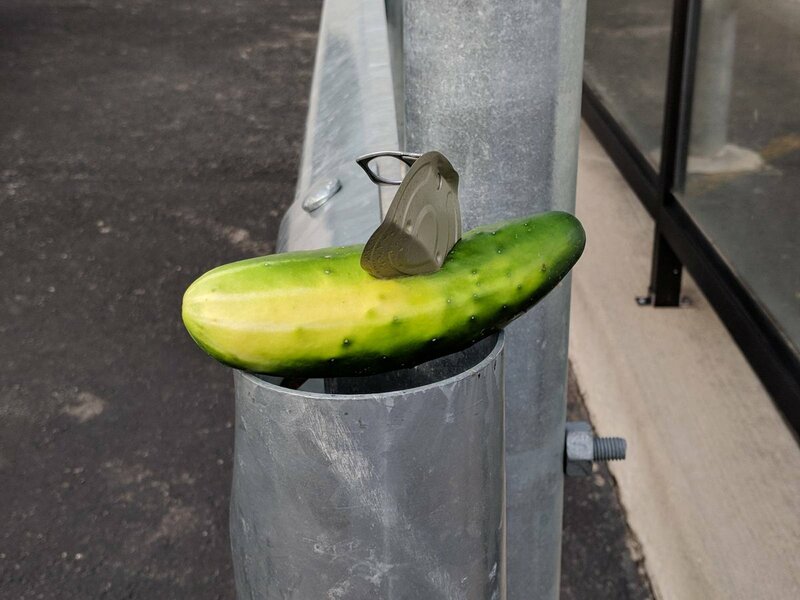 To you, dear reader, this may look as though a cucumber has got itself into a bit of a pickle. But to me, this is a big dill. I’d herb many stories of inter-city veg violence, botany proof was hard to come by. And then this cropped up. My heart beets for the victims of this violence, and it’s time for journalisms like me to stop dressing up these stories, and report the raw facts. Lettuce hope that will be enough. A story about a labrador that discovers the joy of lying, and subsequently abuses his master’s trust. From man’s best friend to humanity’s worst enemy. A tragedy of Greek proportions. Although the dog isn’t actually Greek; he’s Canadian. A heartbreaking story about a unicorn that gets addicted to space valium. Considering my own addiction to fertilizer in the past, this one hit a little close to home. Fire and Blood, by George R. R. Martin. It’s not The Winds of Winter. 1 star. The war from the message boards has migrated to Wikipedia. The subgenre wars show no sign of stopping yet, but as always, you can count on this journalism to keep you updated with all the latest News.